Schools in Tanzania are often located in underserved areas, beyond the reach of traditional network infrastructure. Over 100,000 teachers struggle to access up-to-date teaching materials and lack sufficient ICT training, directly impacting future employment prospects for teachers and learning outcomes for students. 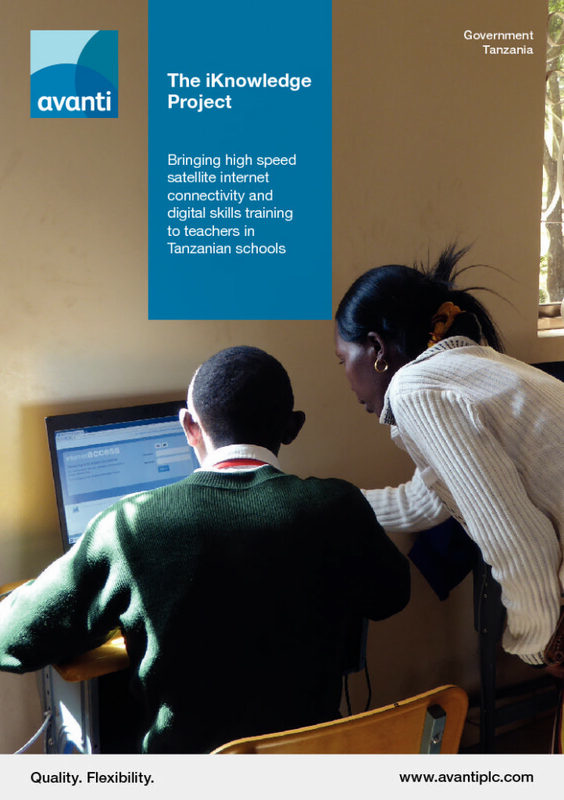 The iKnowledge project, led by Avanti Communications, has deployed high speed broadband connectivity to 250 schools across Tanzania. The project provides digital skills training for teachers and educational resources that can be used in the classroom for students.